Warning Colors - Amazing Nature! 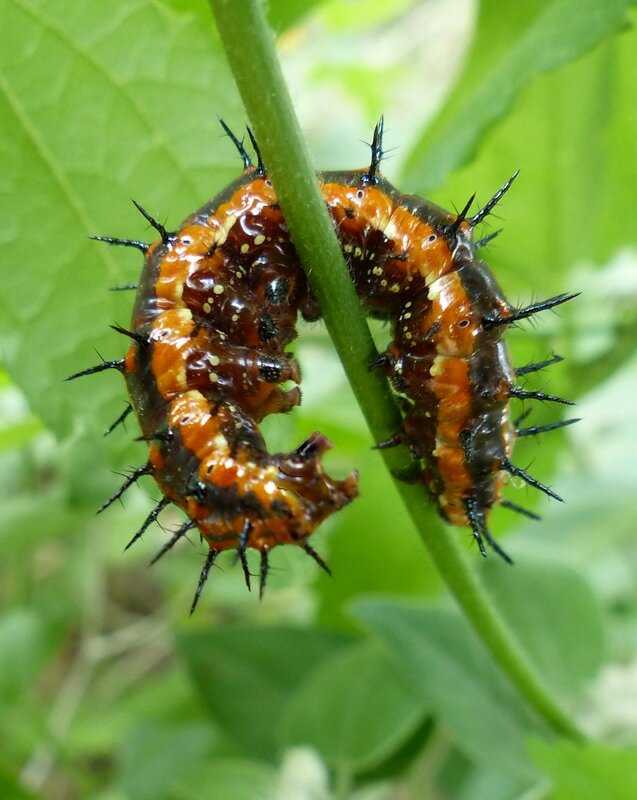 ​Not all insects hide to avoid being eaten. 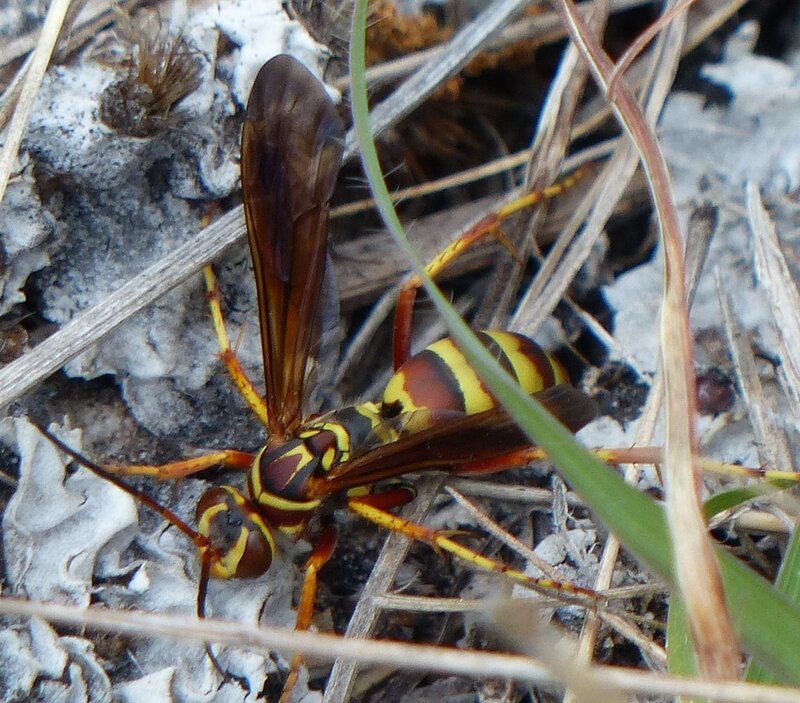 Many advertise their existence with bright colors, markings, and bands that say DANGER. 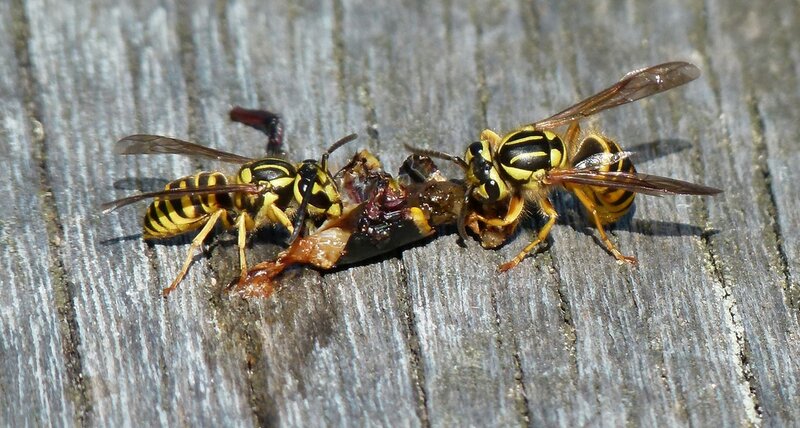 These insects sting or bite or taste bad. 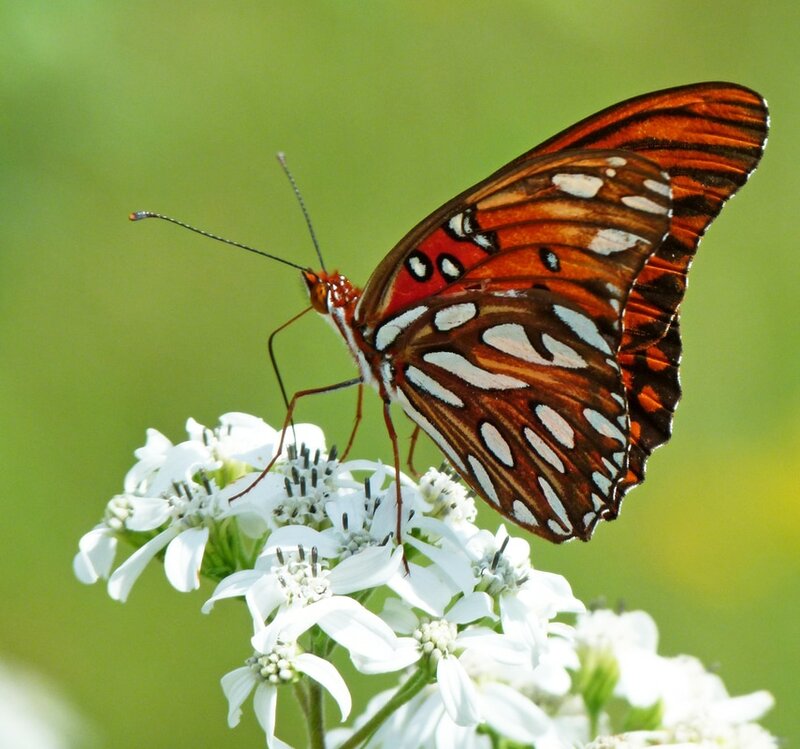 Predators that have bad experiences with these insects often learn to avoid them in the future. 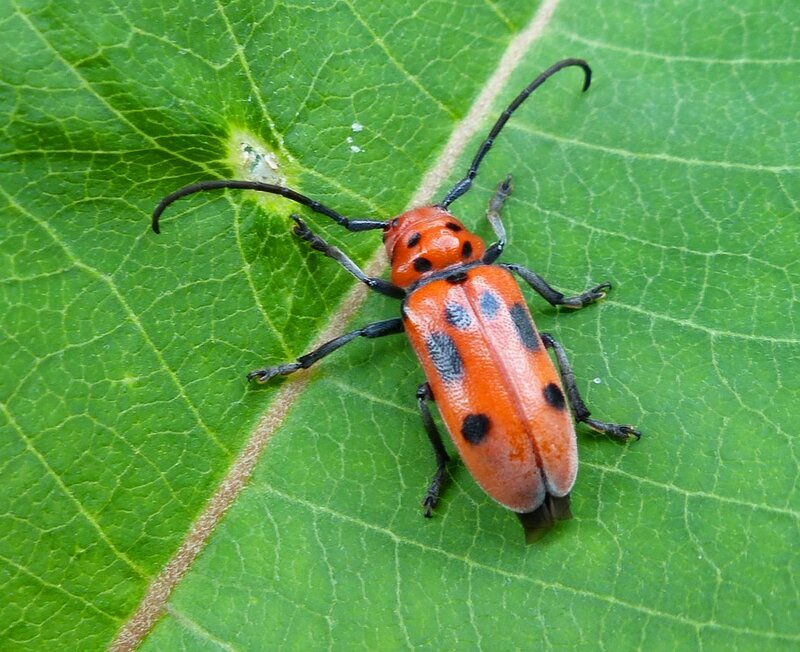 ​Would you try to pet these insects? Have you ever thought why you know to avoid them? 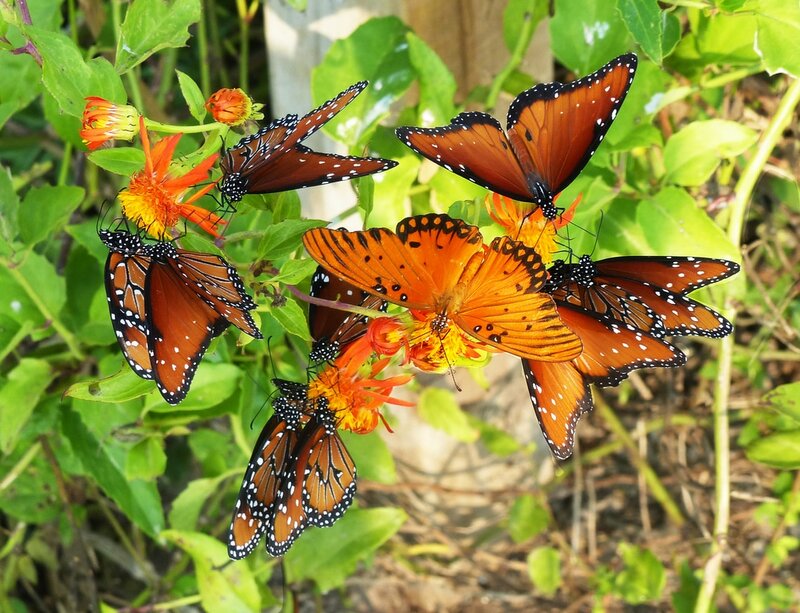 Their many predators are also alerted by their coloration and banding. 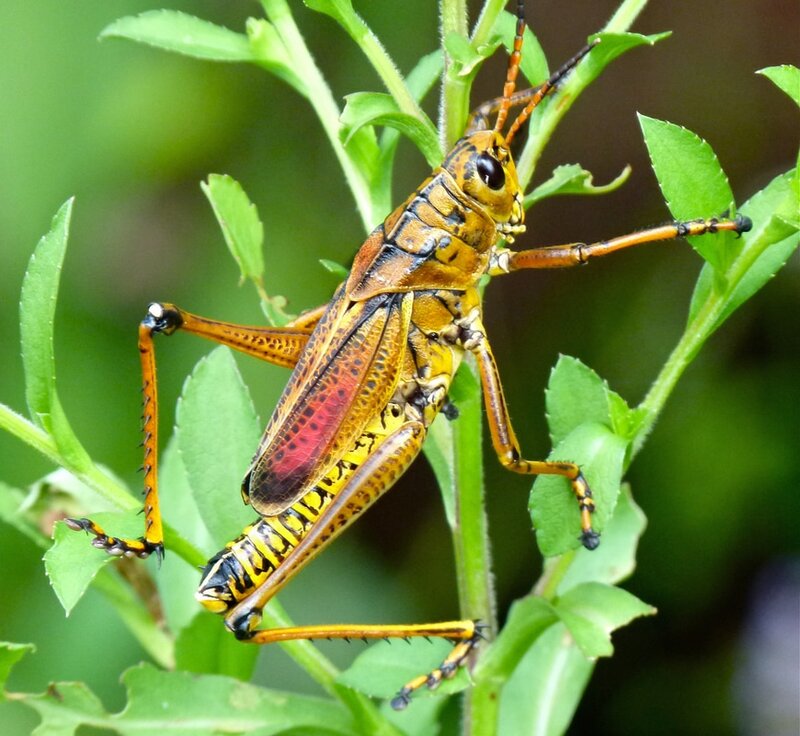 The bright yellow and black banding of the Southern Yellowjackets (Vespula squamosa) spells danger to their predators, but sadly for this Lubber Grasshopper nymph (Romalea microptera), the colors didn't alert it to quickly hop away. 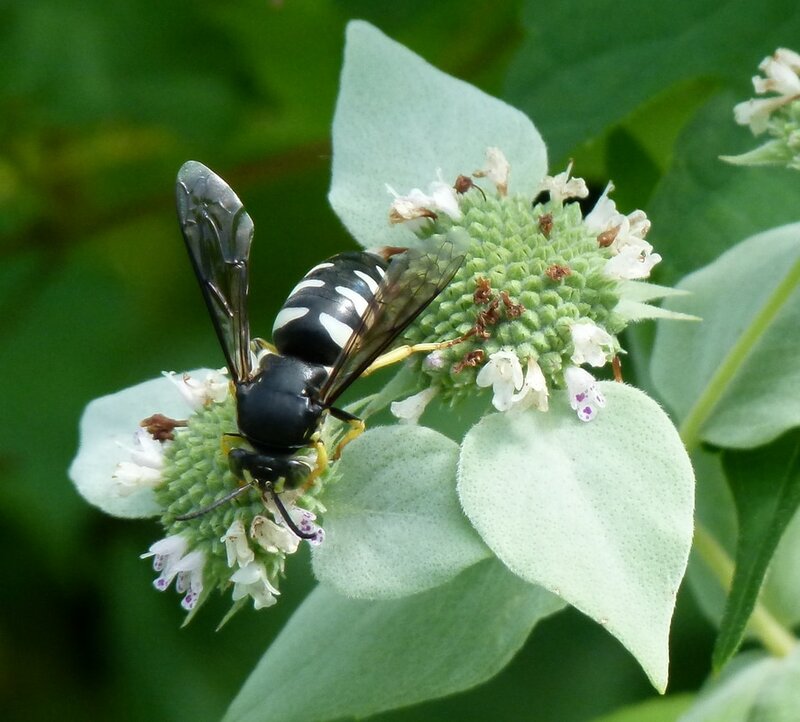 The bright bands of black and yellow warn predators that the Pollen Wasp (Pseudomasaris) is dangerous. 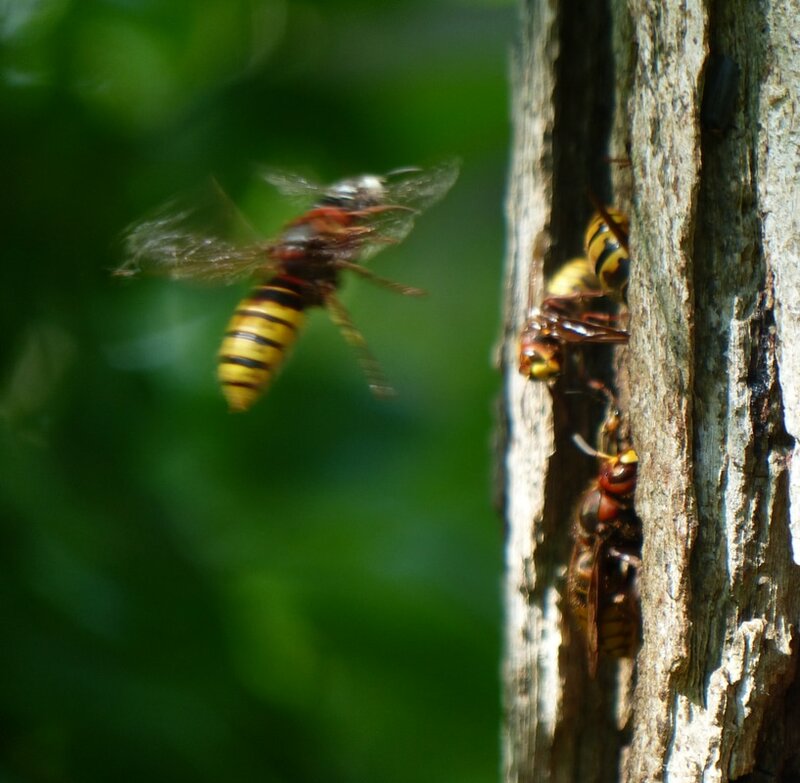 A European Hornet (Vespa crabro) prepares to land on some tasty sap. 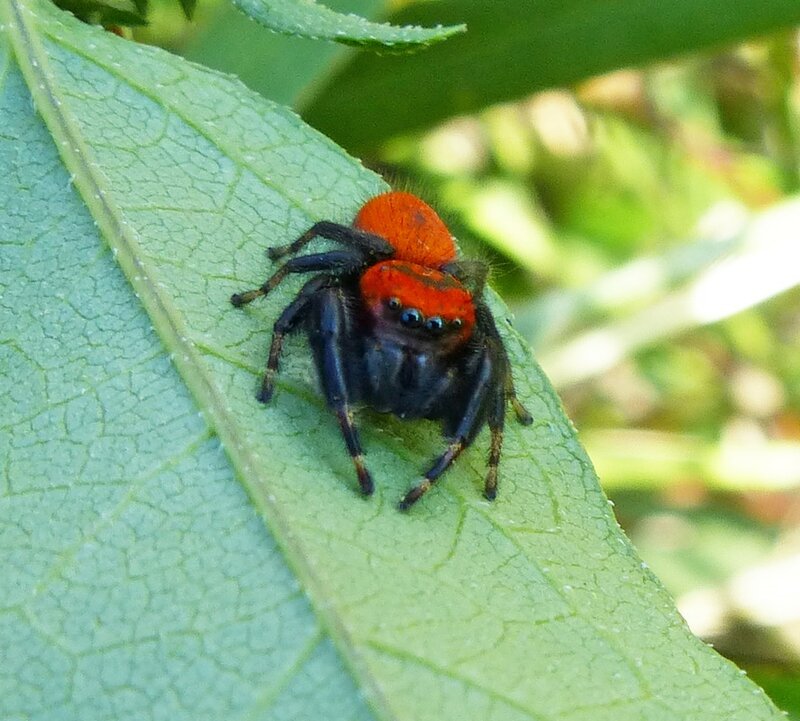 The red body of this Cardinal Jumping Spider (Phidippus cardinalis) leaves no doubt that it deserves respect and distance. Spiders seem to scare lots of people — even those that have no warning colors. 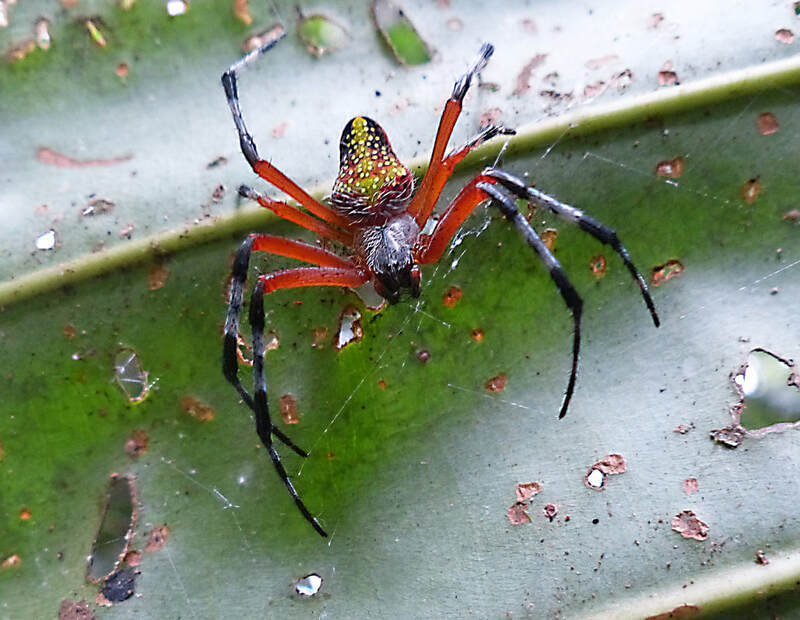 However, one look at this red-legged Eriophora nephiloides spider from Costa Rica would make both humans and other insects (except for wasps) run for cover! 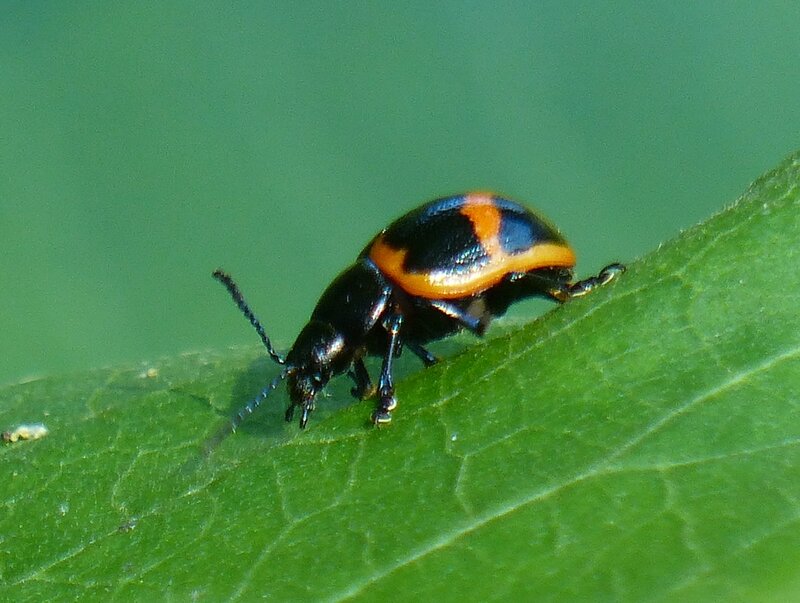 And then there are insects that humans need not fear, whose bright colors are a warning to other insects both that they are unpalatable and may eat them. 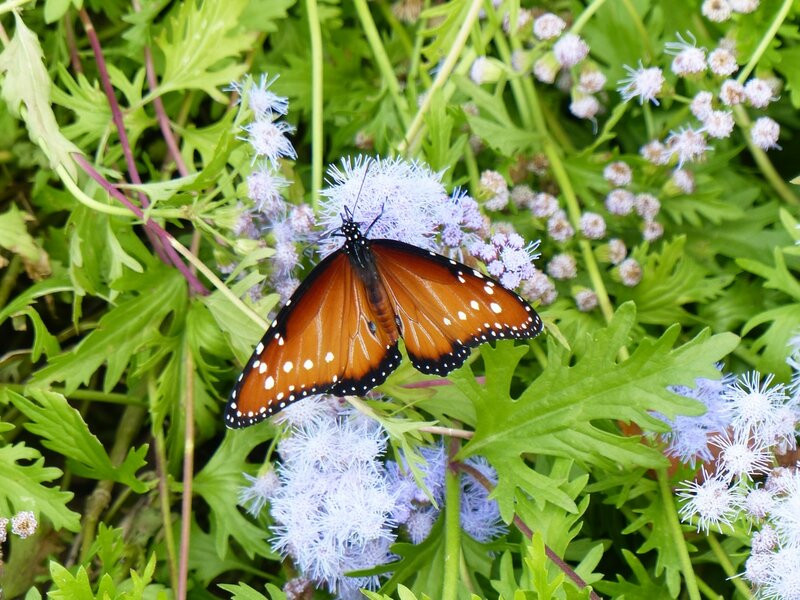 The colorful insects below eat plants that contain poisons, sequester or hoard the toxins in their bodies, and become poisonous or foul-tasting themselves. 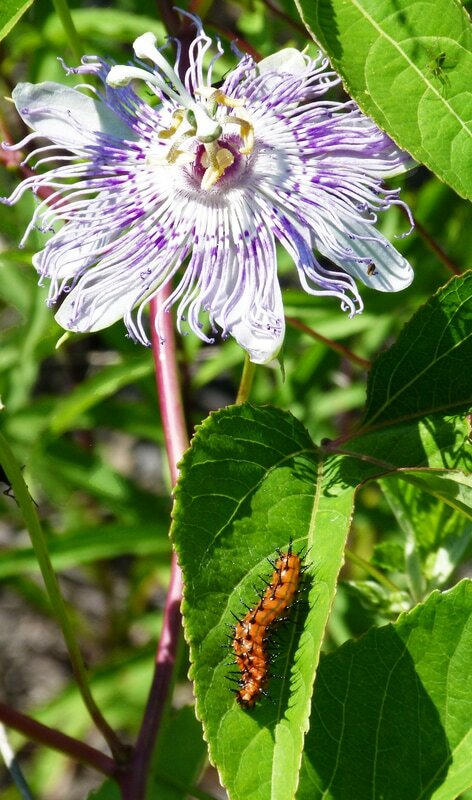 Predators learn to associate their bright colors with bad tastes or even harmful physical reactions and learn to stay away from them. 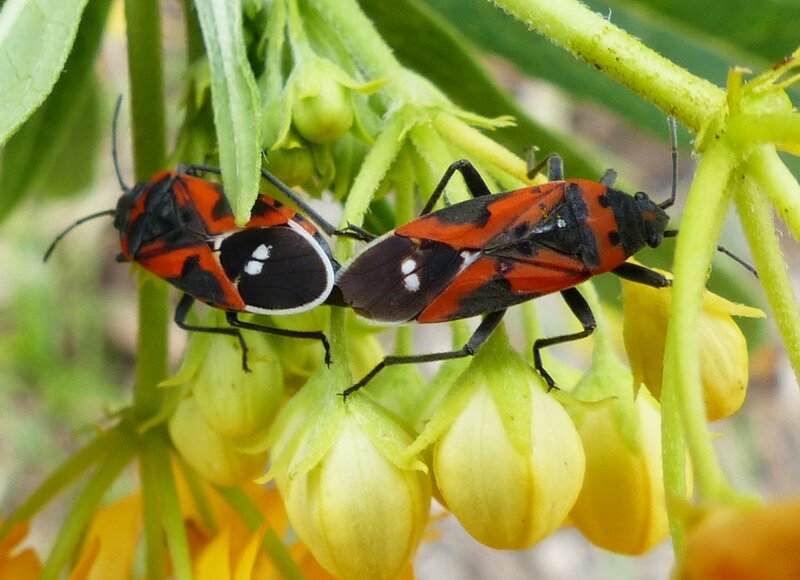 If you are lucky, you will find a variety of brightly colored insects on milkweed plants. 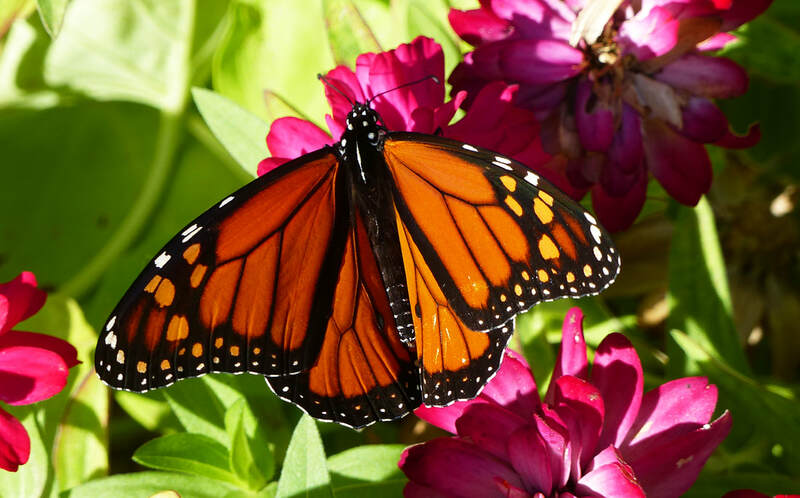 Milkweed contains cardioactive glycosides or cardenolides, which can be toxic to some animals. 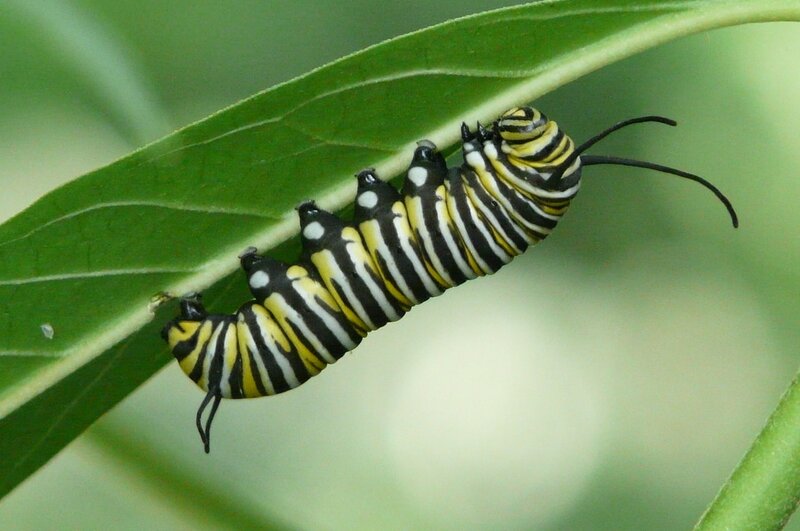 Both the larvae and adults eat milkweed, sequester the toxins in their wings and exoskeletons, and become toxic to predators. 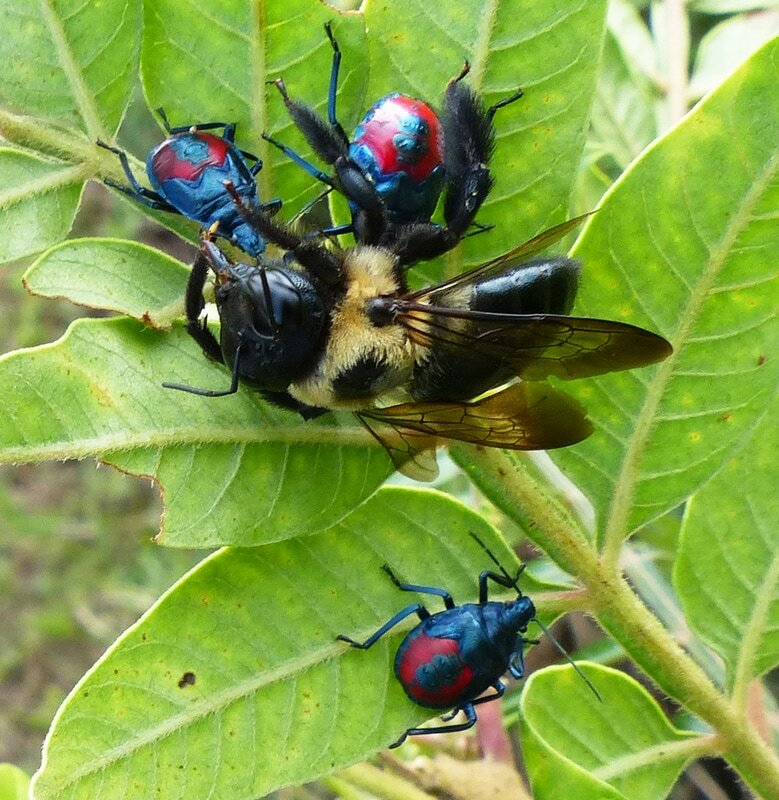 Their coloration broadcasts a warning to any animal that is considering making them a meal. 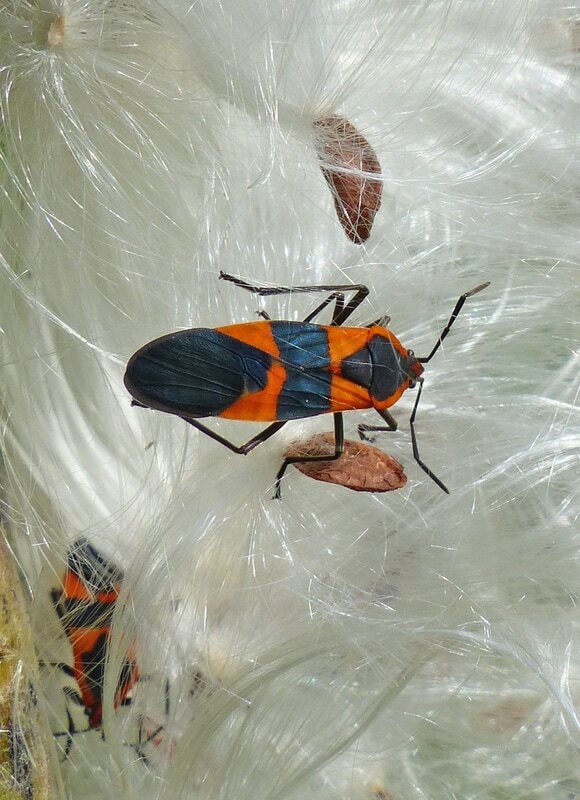 Large Milkweed Bug (Oncopeltus fasciatus) rests on milkweed silk. 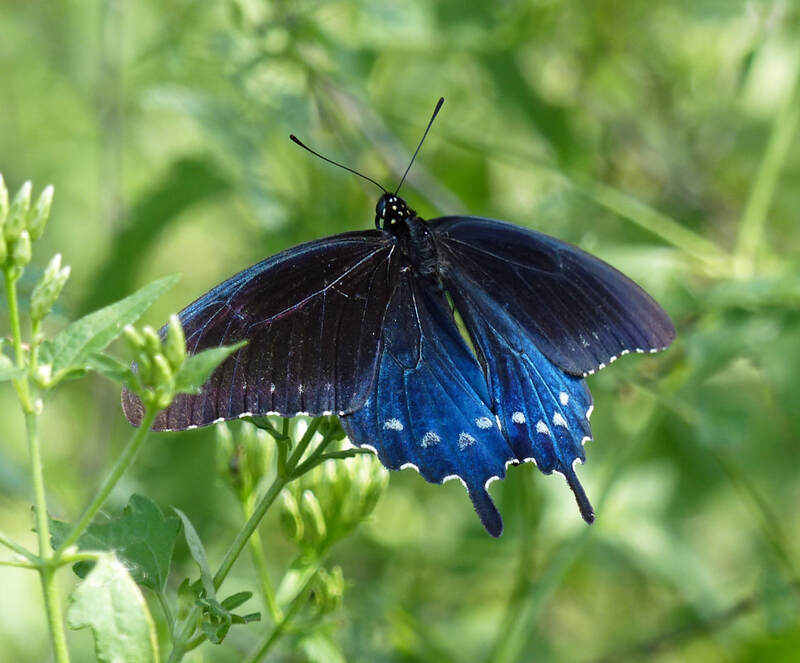 Predators avoid the beautiful Pipevine Swallowtail Butterfly (Battus phlenor). 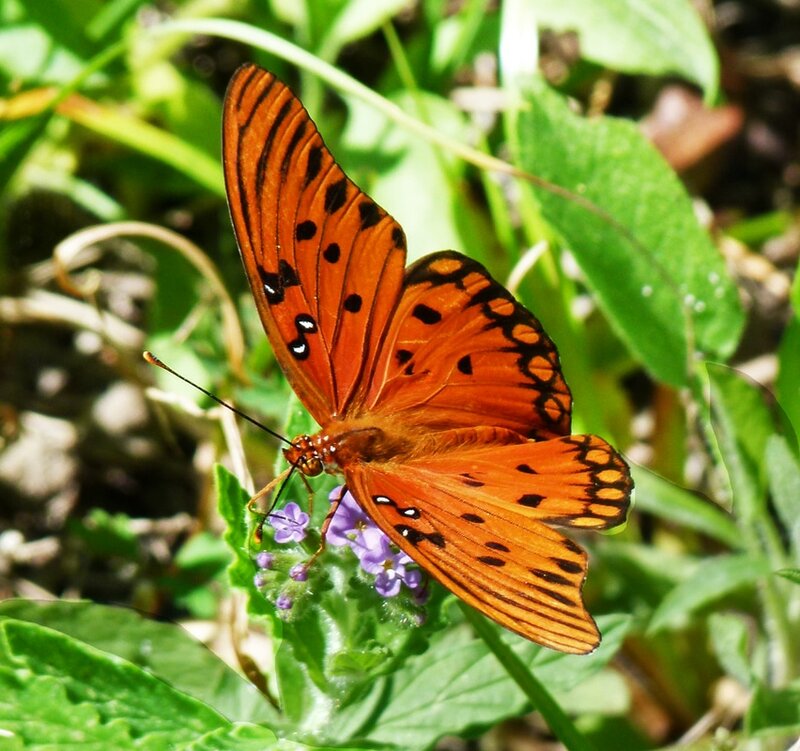 A Gulf Fritillary Butterfly's (Agraulis vanillae) coloration deters predators. 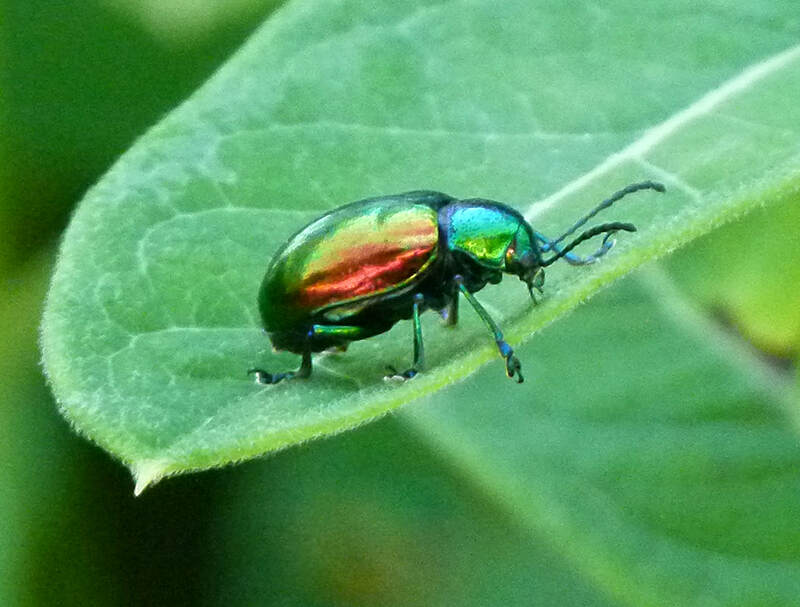 The Dogbane Beetle (Chrysochus auratus) eats a toxic plant – dogbane -- and has vivid coloration to broadcast its unpalatability. 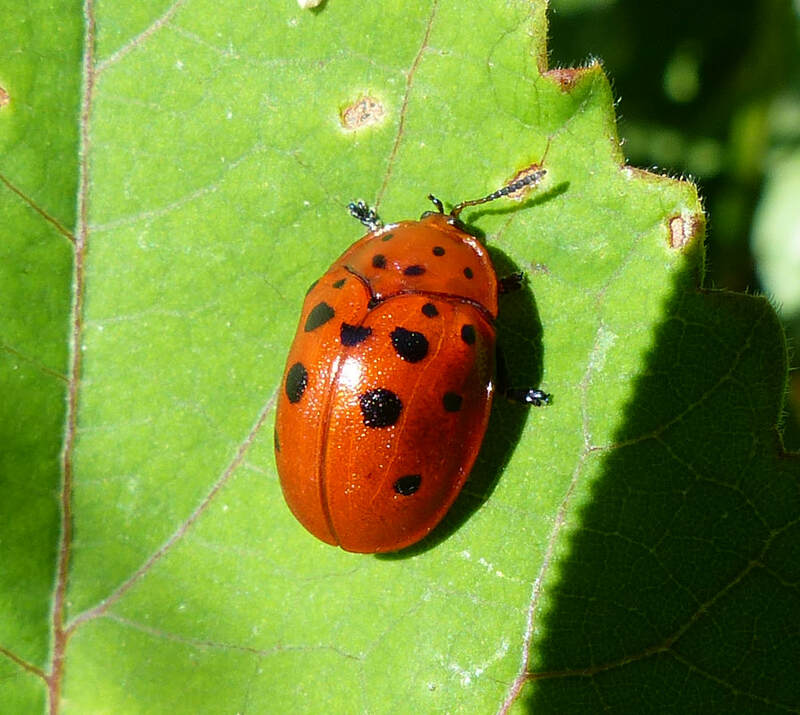 Ladybugs — actually Ladybird Beetles (Coccinellidae) — advertise their bitter taste by sporting a bright red body with black spots. 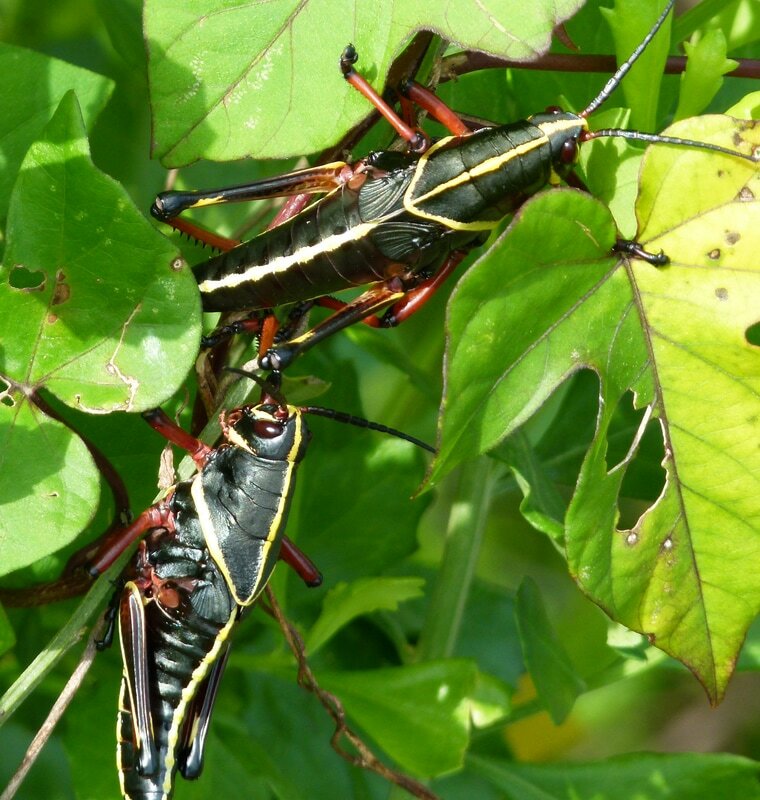 Both Lubber Grasshopper nymphs and adults are hard to miss, because they are so large and colorful. 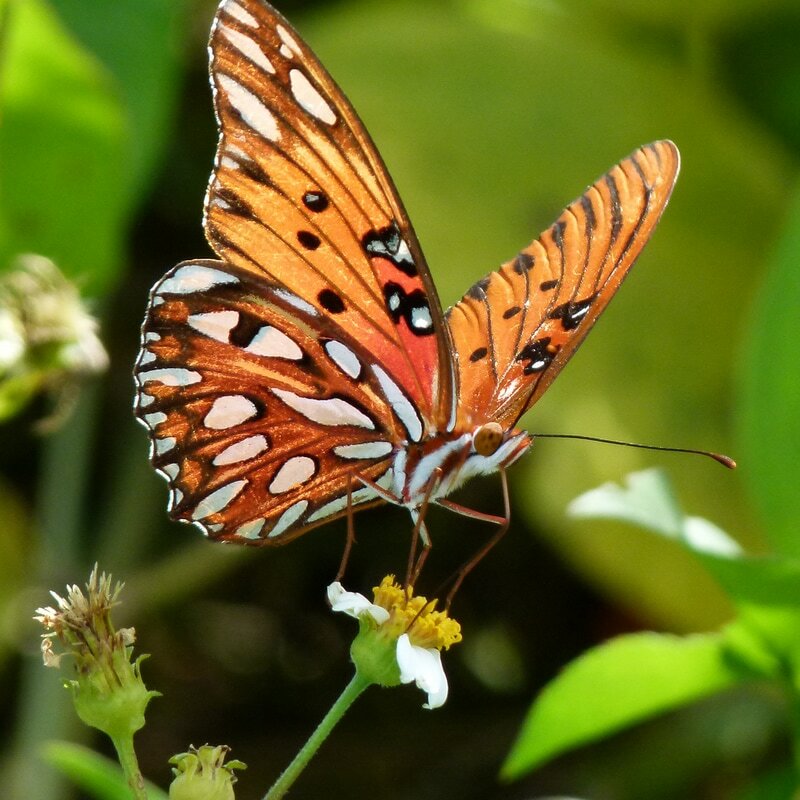 This beauty is a warning to their predators, birds and lizards, that they are unpalatable, even poisonous to eat. 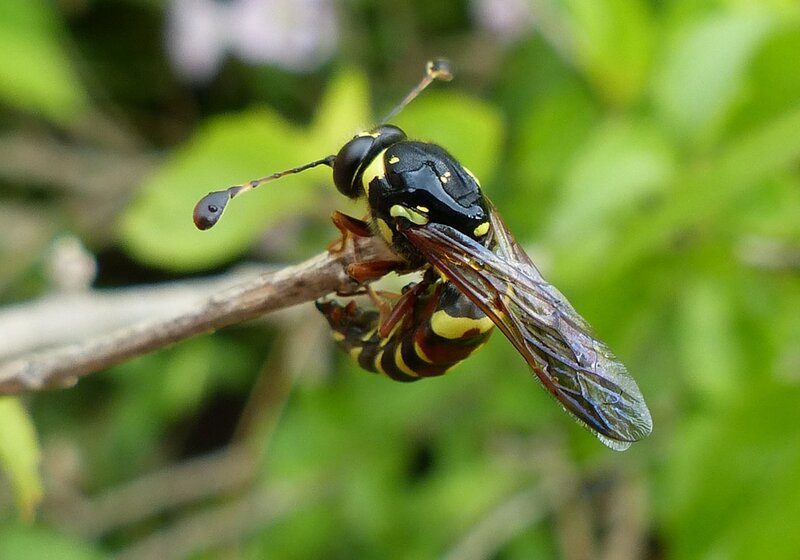 As a more dramatic deterrent, lubbers produce a foamy, foul-smelling secretion when disturbed, and they hiss.